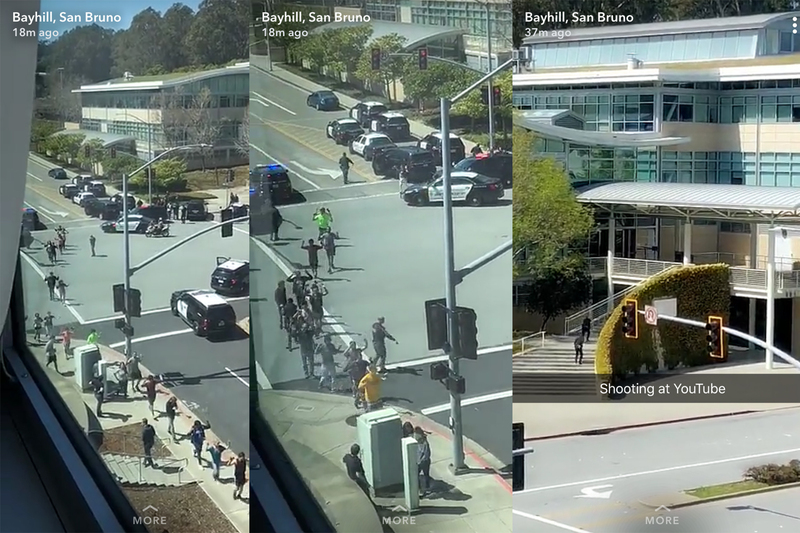 At 12:46PM, an active shooter was reported in an outdoor patio area at YouTube’s headquarters in San Bruno, California. Police arrived at the scene in a manner of minutes, police chief Ed Barberini confirmed during a brief press conference. Emergency teams quickly evacuated “hundreds” of employees from the facilities, as they continued to search the premises for additional potential shooters, according to police. Google provided employees shelter at its own San Bruno office. The event, unsurprisingly, was thoroughly documented on various social media platforms. 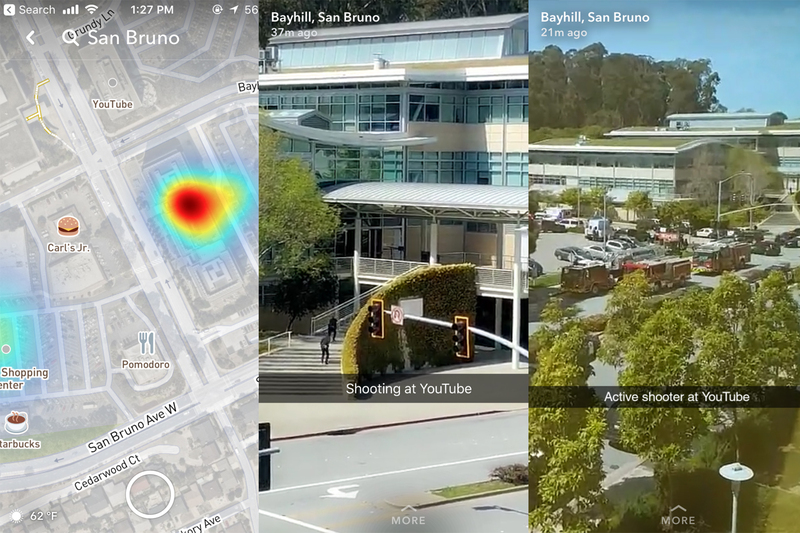 Snap Maps photos captured the large scale evacuations of the office building. In addition to the images of multiple police cars, eye witness reports have also noted the presence of the bomb squad and fire trucks at the scene. Google has issued a statement noting that it is “coordinating with authorities,” promising further updates as information becomes available. 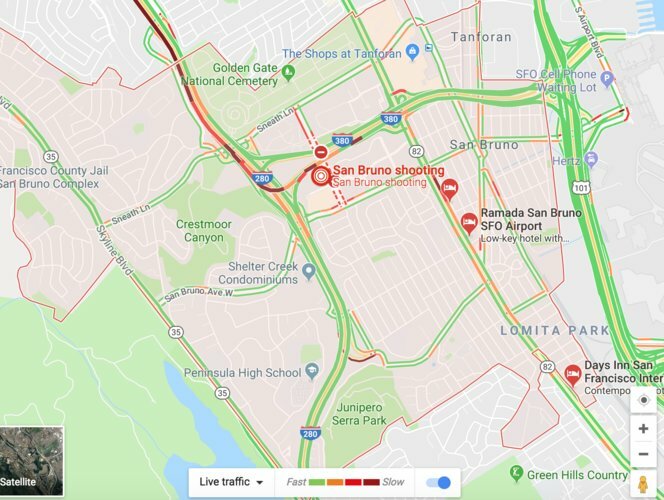 The company has also confirmed the location of the incident through its own Maps app, pinpointing the location and noting nearby road closures. San Francisco General Hospital, a nearby Level 1 trauma center, has admitted three victims related to the shooting. According to Hospital spokesperson, Bret Andrew, two female victims, aged 27 and 32 are in serious and fair condition, respectively. A third male victim, age 36, is currently in critical condition. Stanford Health Care Center confirmed with TechCrunch that it has not admitted any patients from the incident. TechCrunch has been in touch with other nearby hospitals. Late Tuesday afternoon, Google CEO Sundar Pichai issued the following statement addressing the incident to employees. YouTube CEO Susan Wojcicki later tweeted out her own statement on the day’s events.